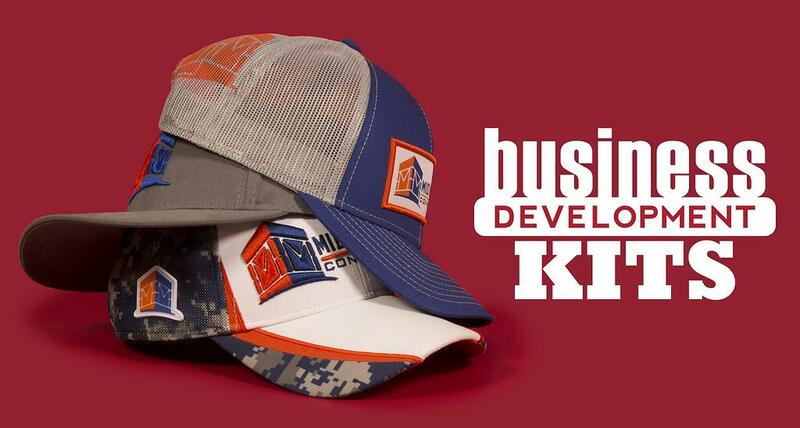 Outdoor Cap is changing the way you sell headwear in 2017 with our new Business Development Kits. The construction industry comprises six to nine percent of the GDP for developed countries. There are three primary categories of construction all serving different purposes within the industry—buildings, infrastructure, and industrial. Each will have a different set of clients and investors. Companies in this sector erect buildings for either residential or commercial use. Larger companies may specialize in both. Residential buildings include homes, apartment buildings, duplexes, etc. Residential buildings have their own set of codes and safety measures that must be followed. Commercial buildings are structures that will house commercial businesses like retail stores, restaurants, etc. These may be funded through local government trying to expand the city’s growth or through the businesses that will be housed in the buildings. The infrastructure sector builds things that the population will use like dams, bridges, parking garages, roads, and interstates. The main client for this business is government; usually at the state level, but sometimes it will be divided by counties or even cities. Industrial construction companies build things like manufacturing plants, warehouses, and power generation facilities. The clients for these types of jobs will be manufacturers, electric cooperatives, water distributors, gas companies, etc. Large construction companies who specialize in this type of work can bid for jobs. Although many of the vocations and trades in this section can work for corporate construction companies, we’re going to focus on those that own their own small business or work independently. I would encourage any entrepreneur in these fields to use their promotional caps as part of the daily uniform for themselves and any employees. Caps are also good to give as gifts to new or potential customers. The advertising impressions increase with each cap added to the community. Use your Construction Kit to generate ideas for reaching out to any of the above-mentioned institutions and close more sales. CLICK HERE to order your Construction Business Development Kit, today. We offer selling kits periodically; you will be first to know when new kits are made available.